Trout. 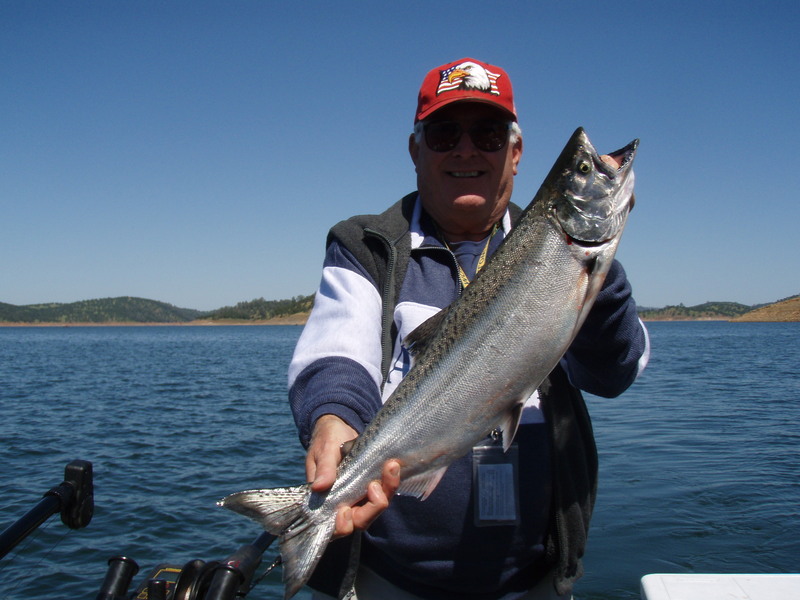 Don Pedro, We fish for Rainbow Trout, King Salmon, Kokanee Salmon & Brown Trout. McClure, We fish for Rainbow Trout, King Salmon & Kokanee Salmon. Tulloch We fish for Rainbow Trout. Hogan, We fish for Striped Bass and Monte knows all these lakes very well. 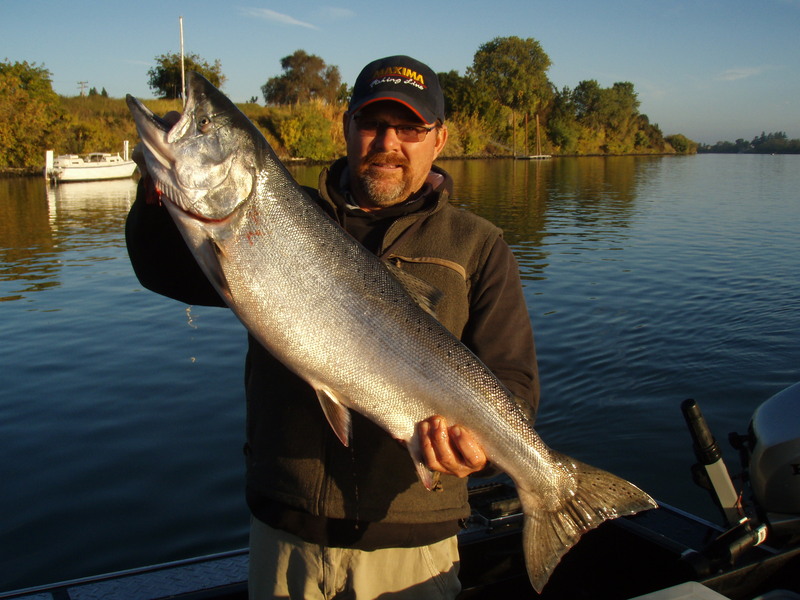 Monte Also fishes the Sacramento River for King Salmon. Today he serves as a fishing sports guide in those same Gold Country lakes. Monte can be heard on the Bob Simms show 1530 on Saturdays. 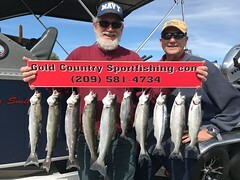 He writes weekly reports for Western Outdoor News, The FishSniffer, California Sportsman, and also gives many seminars throughout the year at fisherman’s warehouse in Manteca and Fresno and Gloryhole sports in Angles Camp. 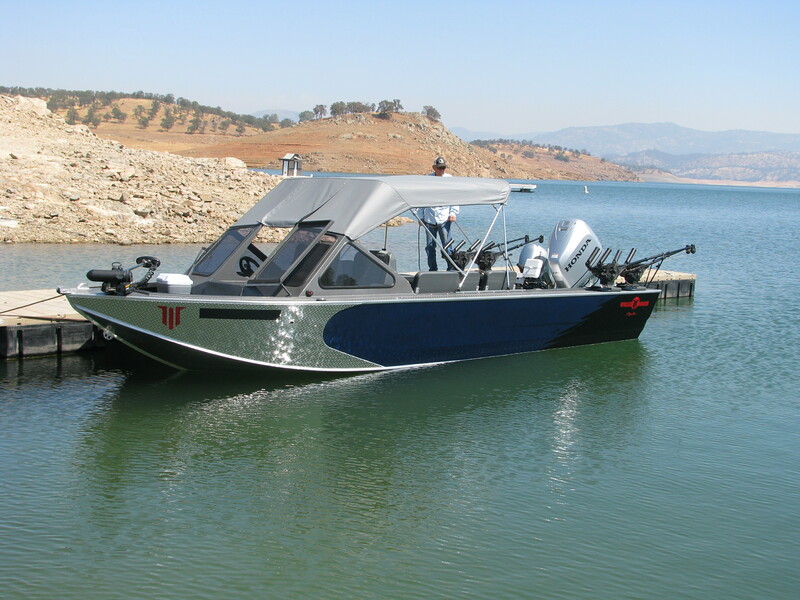 We have a brand new 24 foot Willie Raptor boat that can fish up to six people in comfort. It has an 8-1/2 foot beam and is powered by a 225 Honda outboard to get to the fishing grounds in just minutes and when fishing we use our 9.9 Honda kicker motor equipped with a TR-1 auto pilot system. The boat also has an MinnKota bow mount trolling motor. This boat is all about comfort. It’s loaded with all the electronics, automatic steering systems and downriggers needed to find the fish. We use Phenix rods for everything we fish for, matched with Shimano Calcutta reels or Shimano Tekota reels. New Cannon Digi-troll Ten downriggers will get our offerings down to the fish, and a New Furuno 585 digital Fish finder to spot our target. Monte is always supplied with the best bait and tackle in the business. Monte also supplies type one life jackets. 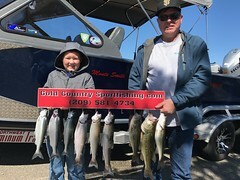 Monte offers a very pleasant, courteous and safe trip and is ready to host your next family fishing trip to many of the lakes in California’s Gold Country. If you have a large group of fishermen we work with other guides that can accommodate your needs. Monte supplies all the equipment you will need to ensure a successful day of fishing. You will need to bring the following items with you: A current California fishing license; Lunch and beverages; Sun Block; Sun Glasses; Camera; Always be prepared for changing weather conditions, layering of clothing is always best; Ice chest to transport your catch home in. Monte will also clean your catch to your liking for you to take home. Come and enjoy the day on the water with Captain Monte you will be glad you did! 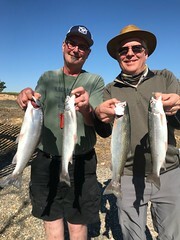 Smith is a member of California Inland Fisheries Foundation, Inc and Kokanee Power, both are non-profit organizations, dedicated to the enhancement of fish in public waters. He is licensed, insured, and bonded and holds many Licenses or Certificates including first aid and safety certificates. .00 deposit is required at the time of booking and feel free to contact Monte Smith with any questions or concerns that you may have. Also ask Monte how the fishing is and what lake is fishing the best, as it varies from time to time, along with what species are biting. We accept all major credit cards through PayPal.